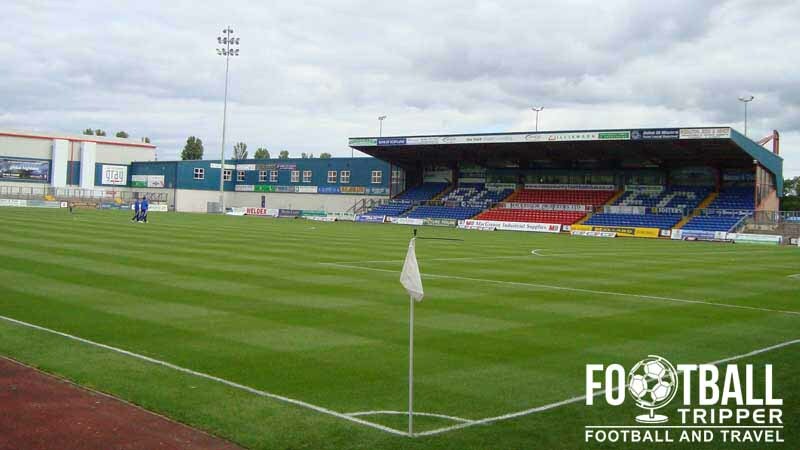 Victoria Park currently known as Global Energy Stadium for reasons of sponsorship is a purpose built football stadium locate in the small Scottish town of Dingwall. 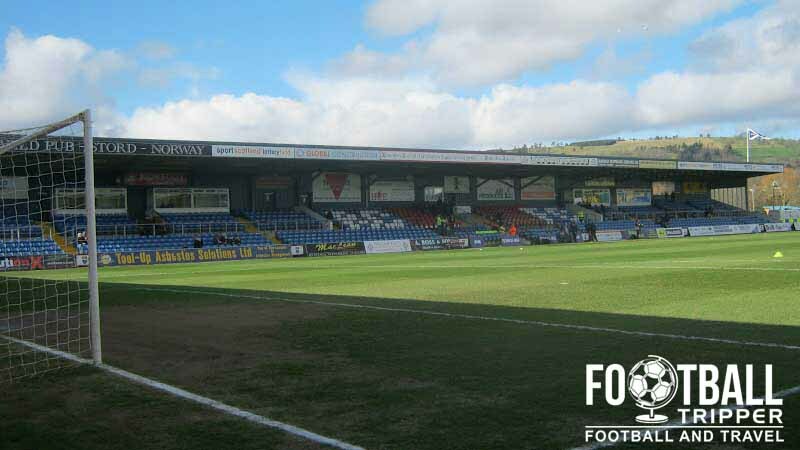 Home to Ross County F.C who have had a meteoric rise through the Scottish Football Pyramid, the 6,541 capacity ground first opened in 1929 and occasionally hosts rugby matches. 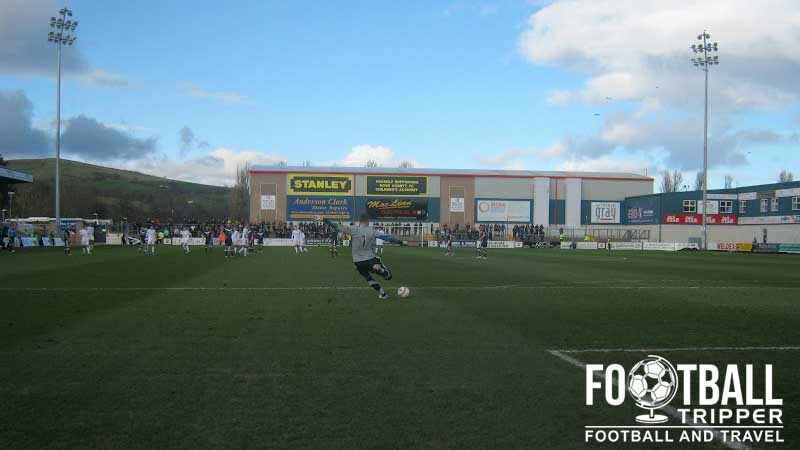 Ross County’s ground dates back to the early 20th century when the club was formed back in 1929 after four small local clubs such as Dingwall Victoria United and Dingwall Victors applied for membership to the Highland Football League. When one place was granted to the local area it is believed that the clubs merged and became known as Ross County F.C. With a capacity of 6.541, there are more spaces in the stadium than the local population of Dingwall, with many fans drawn from the wider geographical area and county which has an estimated 60,000 residents. Playing in the local league until the 1994/1995 season when they were allowed to compete in the Scottish Third Division alongside Inverness Caledonian Thistle, which made Victoria Park in Dingwall the most Northerly ground in the whole Pyramid of Scottish football until 2000 when Elgin City were admitted to the competition. After winning the 2011-2012 First Division the club gained promotion to the Scottish Premier League where they could resume regular matches against the largest clubs in the country. Prior to this, Ross County only ever met other “famous” clubs each season in the Scottish Cup and it was in this competition in 1966 when the record attendance of 8,000 was set against Glasgow Rangers. Upon entering Scotland top flight, Victoria Park had to undergo a series of renovations in order to meet the Premier League’s legislation and as a result seats were installed in the Jail End, a new North Stand was constructed as well as under soil heating. The costs incurred by these most recent round of renovations was partially offset by the club selling the naming rights of Victoria Park to Chairman Roy MacGregor’s company, becoming known officially as the Global Energy Stadium as of the 2012/2013 season. Additional spaces in the car park were also added and the Dingwall Campus of the Highland Football Academy located behind the North Stand has a series sports facilities open to the general public such as 3g astroturf pitches. Victoria Park Stadium is comprised of four stands: North, East, South and West. Away fans are housed within the North Stand which sits behind one of the goals, and is capable of seating approximately 2,000 supporters. For certain high-profile matches (see below in regular ticket section) there is a price increase of £2.00, and additional spaces can be made available in the West Stand. For the home fans there is the spacious David Hamilton Lounge Bar which is located in the West Stand, and usually ones from around 12.00 pm for a standard Saturday kick off at 3.00 pm. Exceptionally popular, it’s not uncommon for this club owned watering hole to be completely full up to an hour before the match begins so you’re advised to get there early. For away fans and anyone else who wishes to grab a pint on-route there is The Mallard located on station road which is a spacious pub in a low-roofed building, and The Caledonian Bars on the intersection between Hill and the High Streets. The town of Dingwall isn’t blessed with dining options, and whether or not you’re a fast-food junkie you may consider this to be a good thing. Wimpy, the British diner, and Tesco are probably the most familiar names out there, with the large Cafe India a very popular place to get a curry from. At the stadium the usual matchday options are on offer courtesy of DPM Catering ranging from hot drinks (tea, coffee, hot chocolate, bovril) to cold drinks (Sprite, Coke, Irn Bru) to the usual warm food (burgers, hot dogs, sausage rolls) to snacks and confectionery (muffins, crisps and chocolate). The prices compared to a lot of English stadiums are more than reasonable. If you’re feeling adventurous and want to sample some highland cuisine definitely try the Haggis Pie! The Club is located in the West Stand and is open on matchdays in addition to during the normal working week where it is accessible through the Main Reception. Staggies Fans can always purchase and browse official merchandise by visiting the club’s online store which is open 24 hours a day, 7 days a week. It doesn’t appear as if Ross County currently offer fans the chance to undertake a tour of the facilities at Victoria Park. If this changes we’ll be sure to update this section. Two Ross County fans fully embracing some of the Scottish stereotypes. Standard ticket prices for the 2014/2015 season are listed below, however please note that premium fixtures are £2.00 more expensive across the board. Premium teams are currently regarded as Aberdeen, Celtic and Inverness Caledonian Thistle. Tickets can be purchased through the usual channels such as from the club’s main reception in the weeks leading up to the match, via telephone (01349 860860) and online via the club’s store. Although for most matches you should be able to pay on the day, it’s advisable to book in advance if you want the best seat – especially if the opposition are high-profile. Located much less than 1 mile from the centre of Dingwall town, The Global Energy Stadium is highly accessible with a journey by foot likely to take the average fan no more than five minutes. The exterior of Ross County’s Victoria Park. The Global Energy Stadium, Victoria Park, Dingwall IV15 9QZ. Subject to availability of spaces, Ross County allows both home and away fans to park at the stadium at a cost of £3.00 per vehicle. Naturally, this car park fills up quickly and you are advised to get there early to ensure you get a space plus that you can access it as the roads around the ground become pedestrianised 30 minutes before kick-off. Failing this, there are numerous free car-parks located in Dingwall Town Centre with plenty of signs to direct you. They’re all less than 10 minutes from The Global Energy. Dingwall Railway Station is located less than 500 metres from Victoria Park with the train tracks running parallel to the western side of the stadium. Served by ScotRail, there are numerous services to Inverness which then can take you to the other main Scottish cities. The pub actually backs out onto Dingwall Station making it very convenient if you miss your train or it is delayed. The closest bus stop to the ground is either the one at station road or Hill Street which is just off of high-street and next to the Royal Hotel. For a complete list of timetables and for further information please visit Traveline Scotland. The small city centre boasts a grand total of four hotels, all of which appear to be independently run. On Station Road there is Garfield House which is a small B&B, on Hill Street there is Dingwall Bed and Breakfast, and on the high street there is the Royal and National Hotels. All four options are moderately priced with the out of town Tulloch Castle Hotel the slightly left-field option.